Passavant Area Hospital expanded women’s health care services offered on the hospital’s campus with the opening of a renovated facility dedicated to women’s health. The Passavant Women’s Health Center opened Tuesday and allows women in the Jacksonville area greater access to obstetric and gynecologic care, including care related to high-risk pregnancies, closer to home. The Center is located at 610 N. Westgate, on the northwest corner of the Passavant campus. The public is invited to tour the facility and meet the physicians during an open house event 5:30-6:30 p.m. Thursday, February 1. 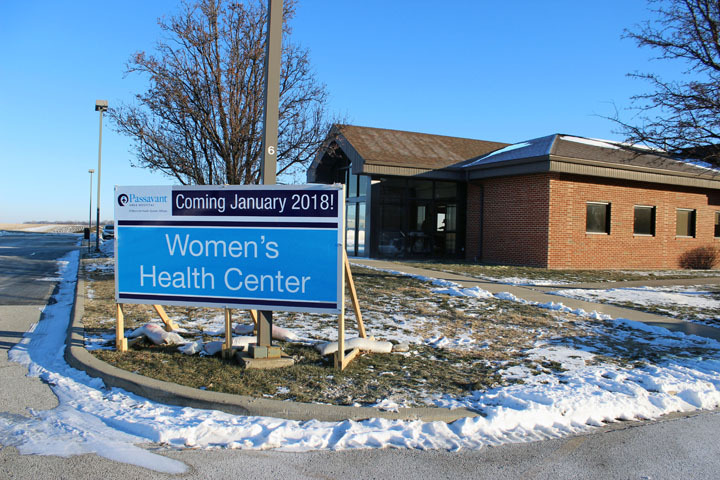 With the Center’s opening, women who require access to care for a high-risk pregnancy have the option to receive those specialized services at Passavant instead of making the drive to Springfield or beyond. Dr. Robert Abrams, associate professor and division chief for maternal-fetal medicine at the Southern Illinois University School of Medicine, has expanded his practice to accommodate patients with high-risk pregnancies at the new facility in Jacksonville. Abrams obtained his medical degree from Rush Medical College in Chicago. He completed his residency in obstetrics and gynecology at University of Illinois-Chicago Medical Center. Following two years in private practice, he pursued a fellowship in maternal-fetal medicine at Loyola University Medical Center. Abrams has been with SIU Maternal-Fetal Medicine since 2007.